Blackleaf Studios: Fresh out of the Oven Tuesday! Fresh out of the Oven Tuesday! Hello everyone!!! It is me, Chris, bringing you something FRESH out of the oven!!!! This weeks new digi release from Blackleaf Studios is called FLORAL MOTIF, and you can get it HERE!! The flowers were really fun to work with - I actually printed off 3, and layered them so they are 3D!! It looks really cool IRL - but unfortunately, I mailed it off before I realized I didn't take a picture from the side!!! Sorry!!! Thanks for stopping by! 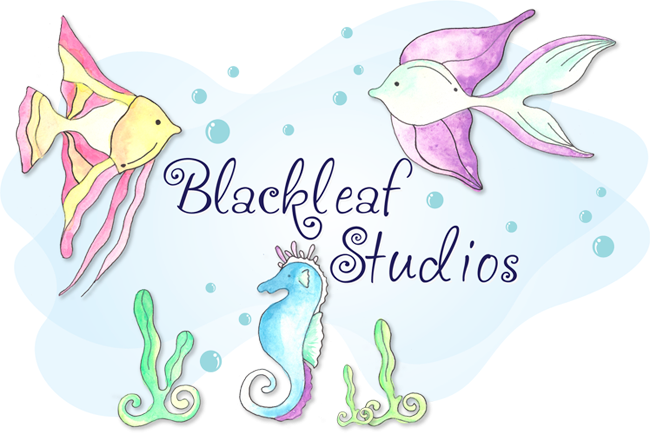 Head over to the shop to see what other great products BLACKLEAF STUDIOS has for you!!!! Stay tuned tomorrow for STAMP IT UP with Fink!!! ohhh... what a cute tag... the flowers just stand out... pretty colors too!!! Adorable! I love the center of the flowers! Lovely bookmark!